A reader just sent to us a question which state "what are expired domains? and how do we use it? Since we provide answers to questions to internet business and various ways to make money online, we felt the best way to answer this question is to post it on the site so that other people can learn one or two things from our explanation of what expired domain names are..
What are Expired Domains? Expired domains are domain names that have been used, registered and its no more needed by the user. Some expired domains names are dumped by the owners while some owners failed to pay to keep the domain in use or fail to renew such domain names. Expired Domains are domains that are no more in use, there are not re-registered which gives room for anybody to re-register them for another use. Some expired domains are good for business in the sense that when you register such domains, you get good search engine rankings, Alexa, popularity and may be perfect for your business or ways to generate good income online by reselling. In addition, a typein domain is a domain that people type into their internet web or mobile browser when a surfer is looking for a site to get information from. The only thing i advice is that you need to check the Alexa ranking, Google page rank or Domain Authority of expired domains before buying it. 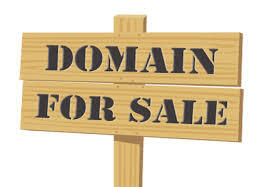 This help to know the prospect and few information about the domain name. Thanks for reading.